I've never thought of Oleander as a Christmas flower before, but there it is on our footpath, and it's almost Christmas so it must be! 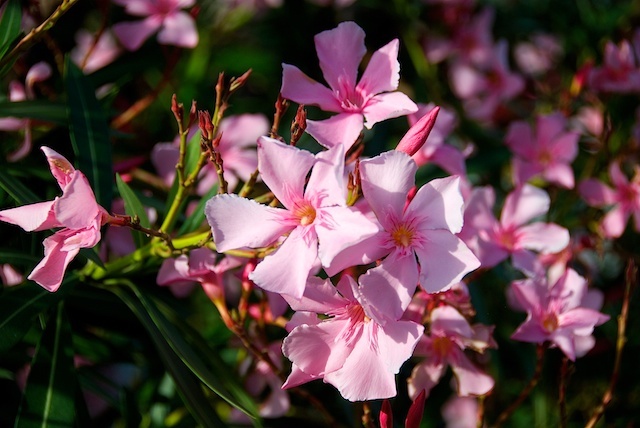 It is apparently the most toxic garden plant, the Oleander, but paradoxically perhaps relatively few poisonings seem to have been recorded. My friend Al who is a veterinary surgeon and knows about this stuff assures me that a handful of it can kill a horse. I think I shall leave the commentary there!